Maxine C. Fausett, 89, of Milan, passed away on Thursday, February 7, 2019 at her home. Services for Maxine will be 10 am, Monday at Wheelan-Pressly Funeral Home and Crematory, Milan. Visitation will be Sunday from 2-4 pm at the funeral home. Burial will be in the Rock Island National Cemetery, Arsenal Island. Memorials may be made to the family for a memorial fund that will be established at a later date. Maxine was born on May 29, 1929 in Lyndon, Illinois, a daughter of Cleo and Gwendolyn (Pfundstein) Emrick. She married James Fausett on October 11, 1952 in Rock Island. He preceded her in death on January 1, 2007. Maxine was a homemaker. She was a member of First Presbyterian Church, Milan. 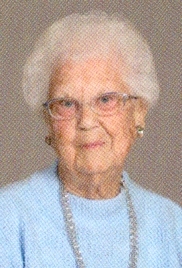 Maxine was a life member of the P.T.A. and the Presbyterian Mariners. She was also a member of the Moose Lodge. Survivors include her children, Kevin Fausett, Milan and Gayle Fausett, Milan; grandchildren, Cody Fausett and Lindsey Fausett; and a great granddaughter, Skylar Fausett-Nonnenmann.